Okay, let me start by telling you I AM NOT Jamaican. I don’t claim to be so let’s not get caught up in any authenticity arguments. From what I’ve read and been told (by actual Jamaican chefs) the key to real Jerk flavor is spices and cooking with palmetto wood. Yeah, good luck finding that in Philadelphia. 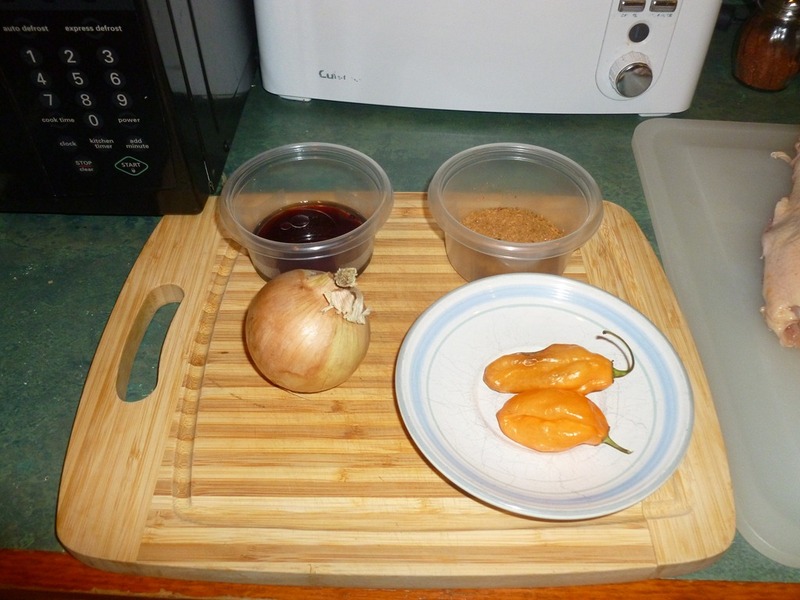 The following recipe is a variation from a favorite cookbook of mine, Jerk from Jamaica by Helen Willinsky. Great book, and from the few West Indians I do know, they verify the authenticity of the recipes. This recipe makes enough to solidly coat one 3 to 4 lb chickens. I usually reserve some for basting while roasting for additional flavor and heat. 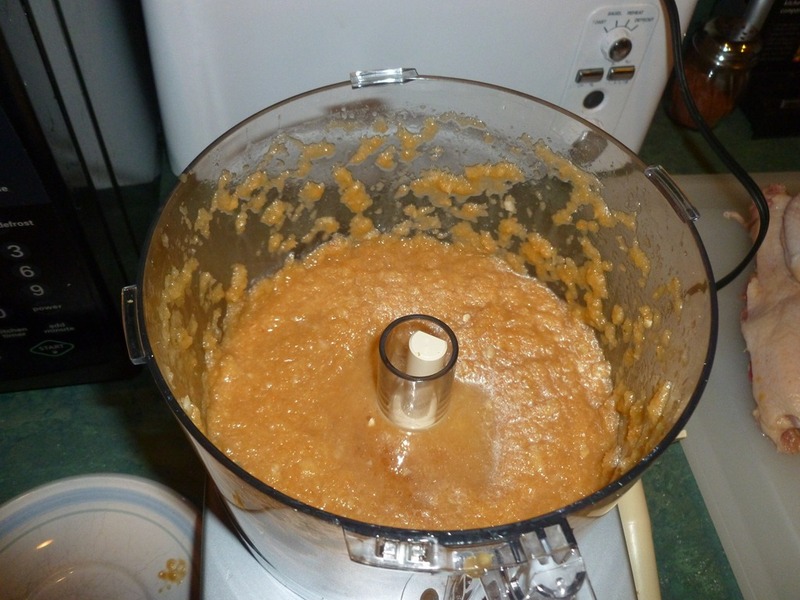 Add the liquid ingredients and run for approx 30 seconds. 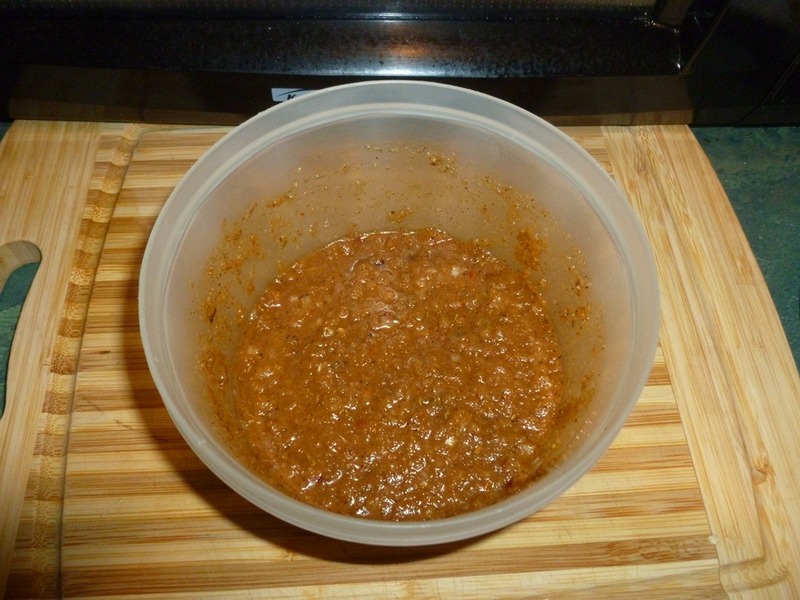 At this point the marinade/paste has come together and really smells wonderfully picquant and pungent. If you’re feeling adventurous, dip your finger in it and take a taste. It will wake you up! You can store this in the refrigerator in a tightly sealed container for up to a month. Although I usually use mine the weekend I make it!